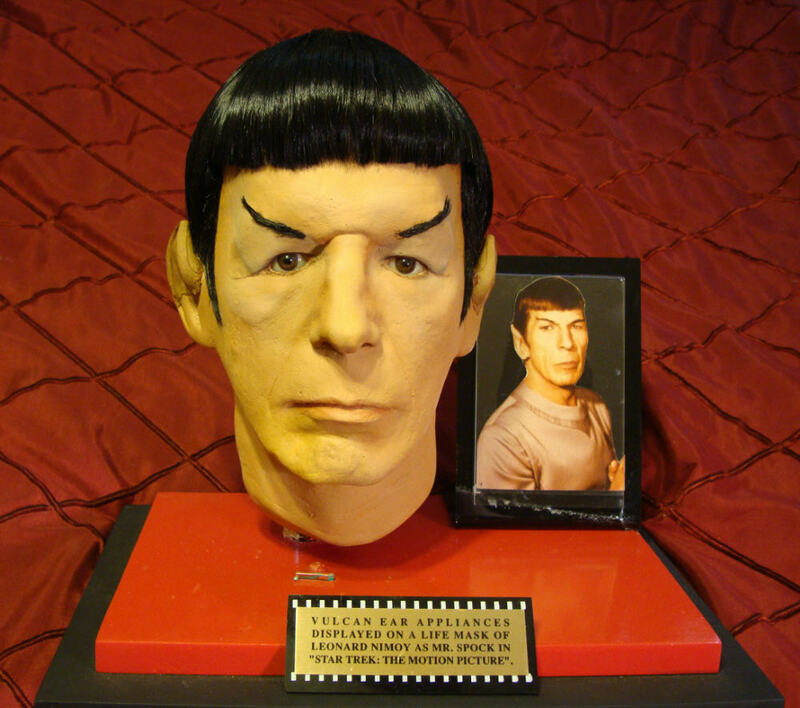 Perhaps the quintessential Star Trek makeup appliance is a set of “Spock Ears”; first made famous in 1966 and instantly recognizable around the world today as an icon of the franchise. They were designed and first applied to Leonard Nimoy by the celebrated, veteran Hollywood Makeup Artist Fred B. Phillips for the Original Series 1st pilot episode “The Cage”. 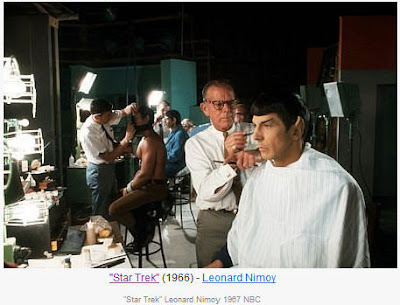 At the time that “The Cage” began filming in November of 1964, Phillips could already boast over 37 years of experience in his chosen profession – having honed his skills on such famous film productions as Cecil B. DeMille’s “King Of Kings” in 1927, “Dr. Jekyll and Mr. Hyde” in 1931, “The Wizard of Oz” in 1939, and most recently the first 3 seasons of “The Outer Limits” television series - which had begun production in 1963. Phillips would return as Makeup Artist for all three seasons of The Original Series; where he would create and apply the special prosthetics to Nimoy on a daily basis. 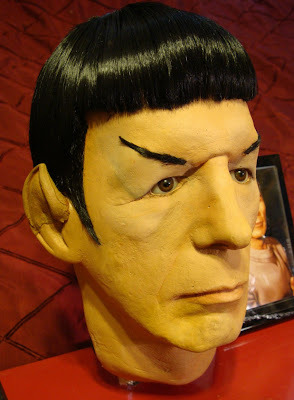 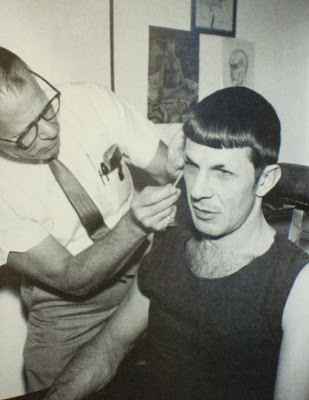 According to TOS Associate Producer Bob Justman in his book “Inside Star Trek: The Real Story”: Fred Phillips had taken a cast of Leonard’s ears from which he had molds made that incorporated the kind of pointed tips that Roddenberry wanted. The theory was that, once the molds were made, duplicate ears could be cranked out when needed and glued onto Leonard’s ears. 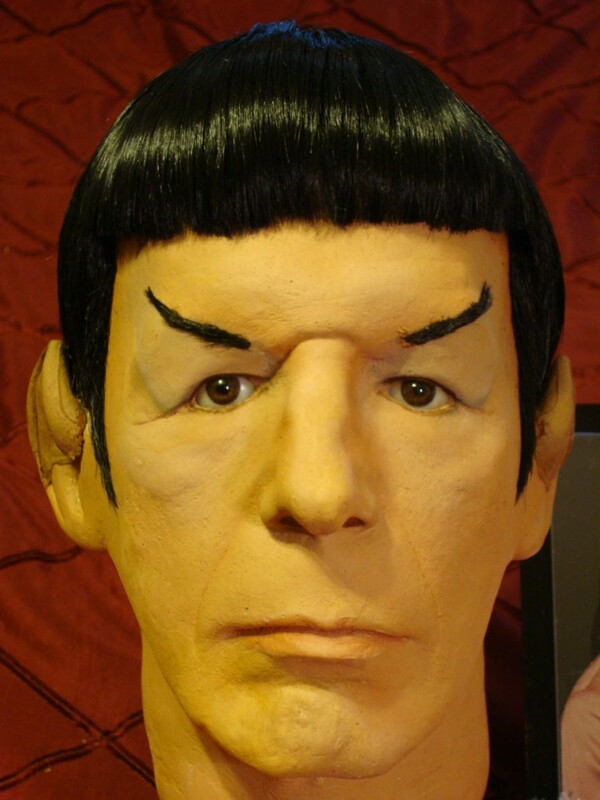 Easier said than done. Once a pair of them had been painstakingly attached and colored to match the rest of Spock’s yellowish complexion, that was it for that pair. 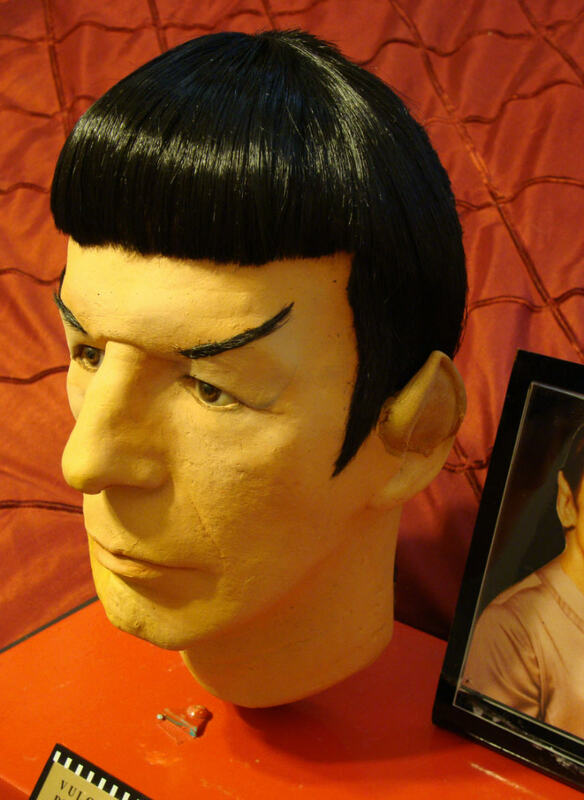 And when they were removed (a painful and time consuming process for Leonard, since they were attached with spirit glue and could be removed only with the use of strong solvent), they couldn’t be saved for use the next time. New day, new ears. And the rubber being used wasn’t dependable. The makeup lab had to cast pair after pair of ears until a good set was made. 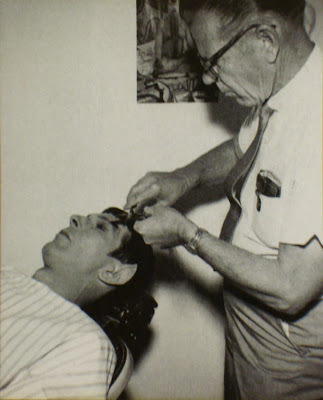 Later, when the series was filmed, Charles Schramm of the MGM makeup department would use an improved latex formula and crank out ears on an assembly-line basis. 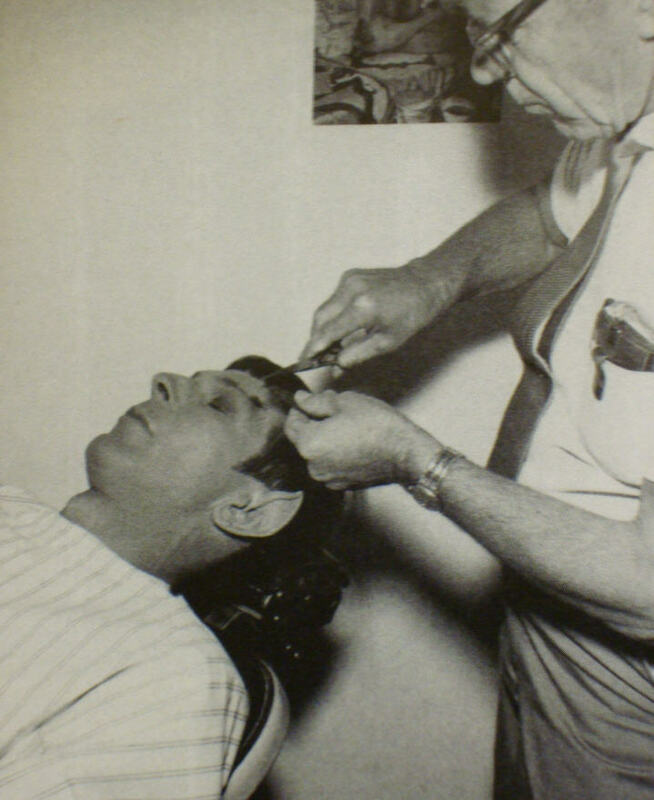 On page 32 of “The Art of Star Trek”, the following insights are provided on the 75 minute procedure skillfully performed by Phillips to transform Nimoy into the Enterprise’s “pointy-eared Science Officer”: The first stage in the process was the application of the single-use foam-rubber ear tips. 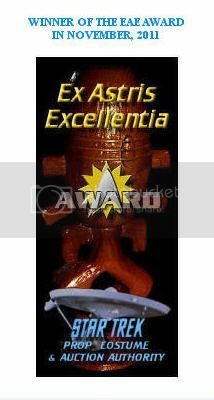 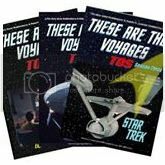 These were glued to Nimoy’s ears with spirit gum. 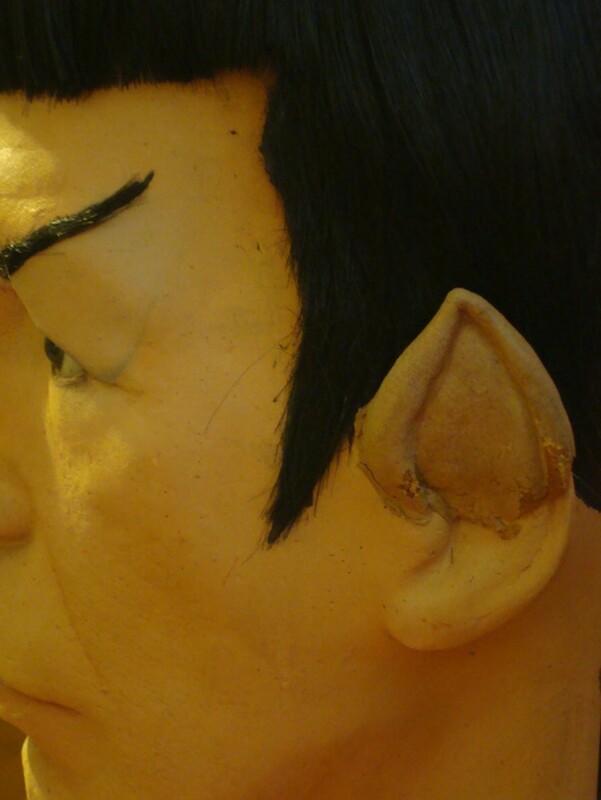 A two-side tape furnished a strip of adhesive on the back of each ear. 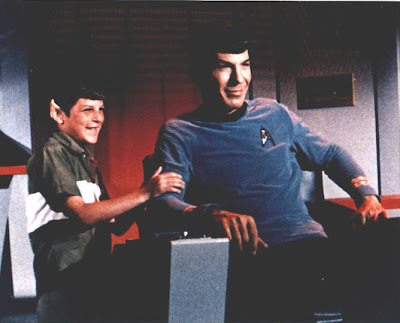 This allowed Nimoy’s ears to be pressed closely to the sides of his head and remain there. 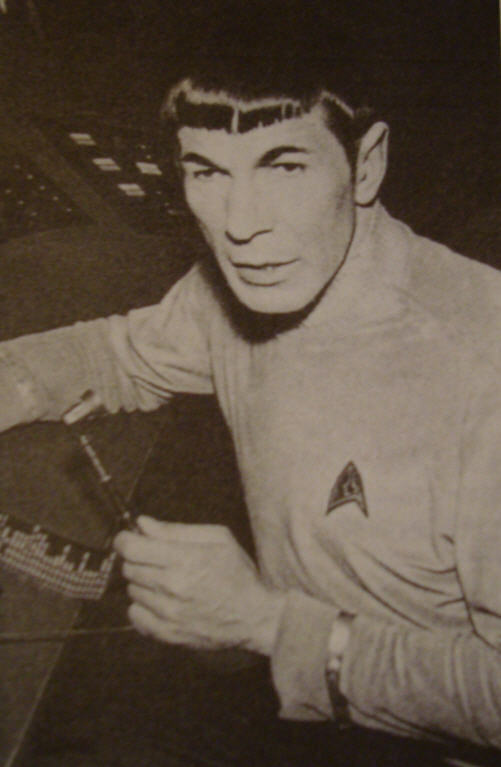 The next stage was the creation of Spock’s characteristic Vulcan eyebrows. This required Phillips to shave the outside halves of Nimoy’s actual eyebrows during each makeup session. Phillips filled in the shape of the new eyebrows with an eyebrow pencil, then painted over those lines with spirit gum. 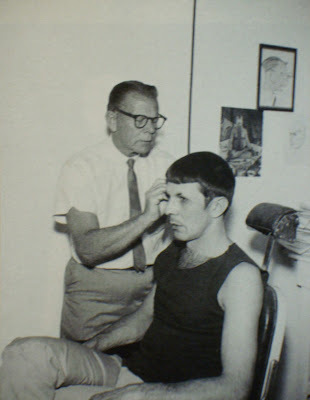 The spirit gum was used to attach short lengths of yak belly hair, which Phillips cut from long stands, blending the small tufts into what remained of Nimoy’s own eyebrows. 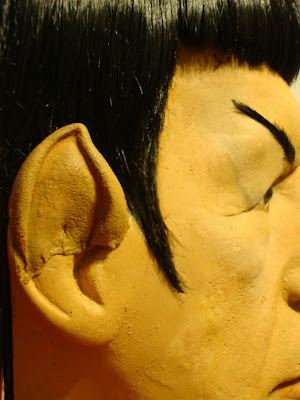 The final stage of the process involved applying base makeup and adding shading to ensure that shadow contours would be seen even under the bright lights of the shooting stage. In order to placate the network, which was strongly advocating the use of regular ears and eyebrows on the Spock character – a move that would have seriously undermined the concept that an alien was serving onboard the Enterprise; the Star Trek production team decided to “tell NBC what they wanted to hear” in agreeing to greatly reduce Spock’s visibility in the show for the first thirteen weeks, while actually proceeding without limitations on the use of the Vulcan first officer. 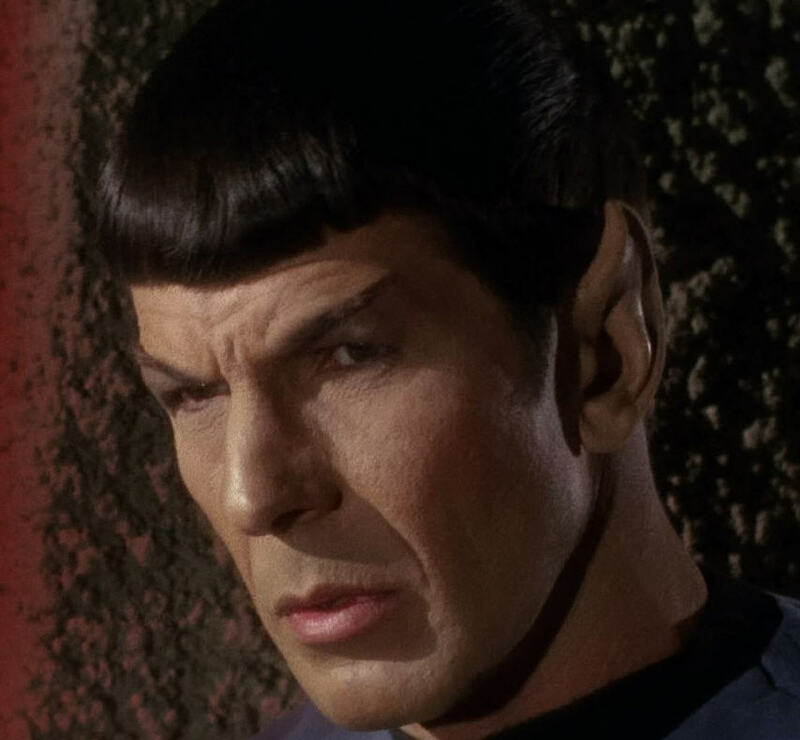 As Solow recalls: The first four episodes to air featured Mister Spock in varying degrees. But by the time the fifth show was ready to air, “Spockmania” had erupted, and NBC’s anti-Spock campaign came to a grinding halt. Desilu’s mailroom was bulging with huge sacks of fan mail, most of which was addressed to Mister Spock. 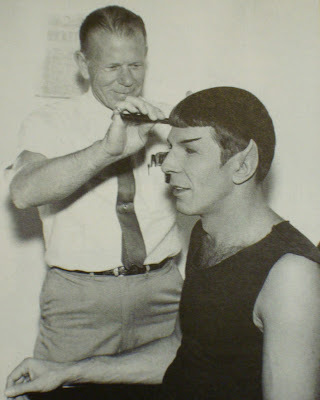 In 1979, Fred Phillips resumed his duties as Spock Ear fabricator when he signed on to handle the makeup for Star Trek: The Motion Picture. 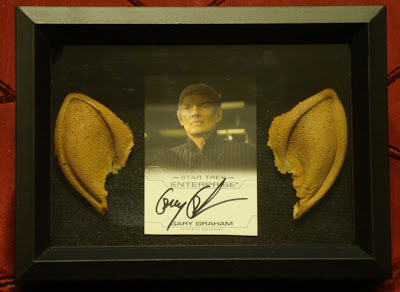 The Art of Star Trek reports that Phillips cast his 2000th Spock ear while working on ST:TMP; in addition to designing a large number of other aliens such as the Saurians, Betelgeuseans, and Rigellians that were seen in the film. 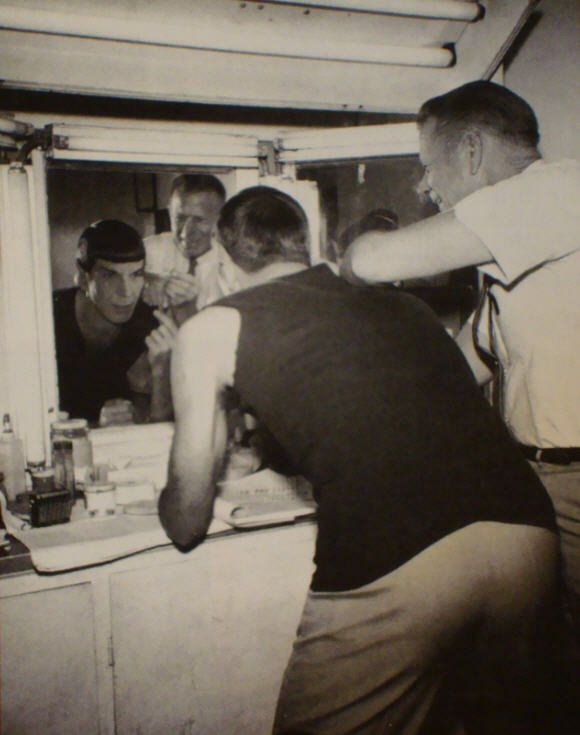 Unfortunately, this production would be the last time that Phillips would perform a makeup role for Star Trek; as he was forced to turn down an offer to return for the production of Star Trek II: The Wrath of Khan due to failing eyesight that caused difficulty with depth perception. 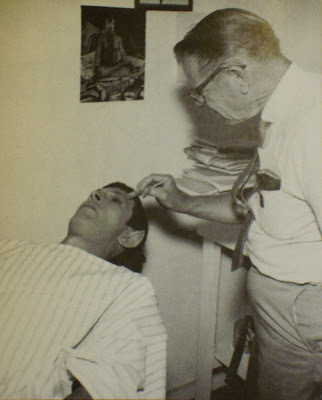 On March 21, 1993; one of the finest makeup artists to grace Hollywood with his extraordinary talent – Frederick Beauregard Phillips – passed away at the age of 84.